With the introduction of the Axiom MFD line Raymarine moved away from their proprietary SeaTalk NG cable/connector system and joined most other manufacturers offering standard DeviceNet cabling for NMEA 2000 networking. Now they’ve introduced a helpful line of adapters to make that transition easier, and the little adapters above can solve a lot of installation headaches. 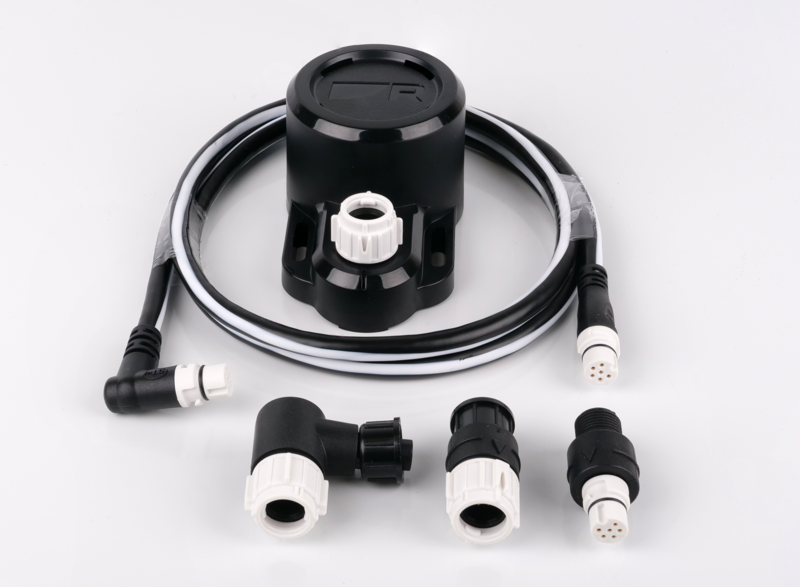 In 2007 Raymarine began offering its own SeaTalk NG ports and cables in lieu of the Micro (or Mini size) DeviceNet gear that NMEA selected as N2K’s preferred physical layer, though the underlying wiring remained the same and the two cabling systems could be mixed. Probably one of SeaTalk New Generation’s greatest advantages was the sixth pin capable of carrying original SeaTalk network data, and STng also featured larger gauge power wires and could thus avoid the voltage drop issues possible with larger networks. Self-documentation is another nice trait of SeaTalk NG. At a glance, you can see the white stripe and connectors of a spur cable or the blue stripe and connectors of a backbone cable, and hence quickly know what portion of the network you’re looking at. While one of my gripes has always been that STng tee-connectors and multi-port blocks can’t be daisy-chained without a backbone cable between them, unlike DeviceNet, SeaTalk NG also has a few advantages over DeviceNet. But overall I never felt that those advantages were worth forcing customers and installers to deal with another cabling system. Have Another Day was refit in 2014 with all SeaTalk NG electronics, but now has a pretty extensive mix of DeviceNet Micro and Seatalk NG. Frequently when swapping equipment I have a SeaTalk NG cable run but need DeviceNet. It’s not a big deal except that I try to keep my cable runs neatly bundled so it usually means cutting lots of zip ties, pulling out the SeaTalk NG cable and running a new DeviceNet cable. 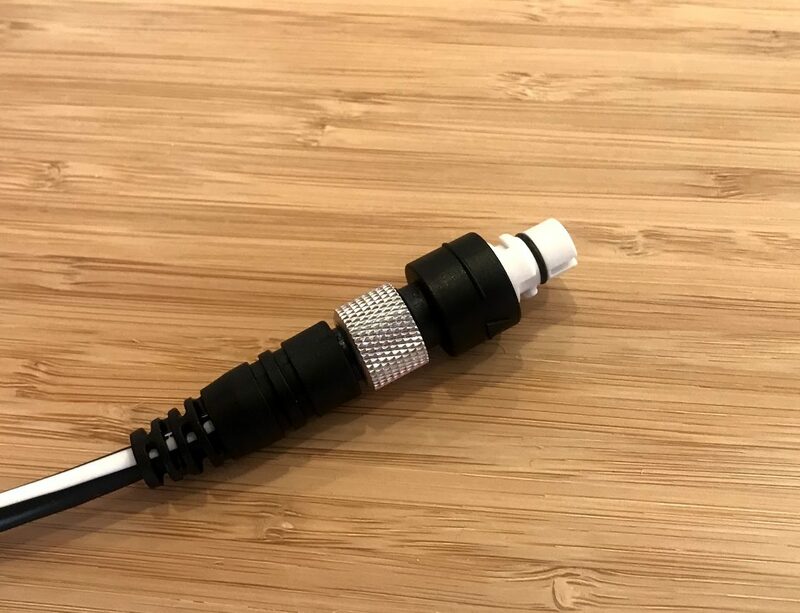 With the new adapters, you can now just pop the correct adapter on the end, make the connection and be done. 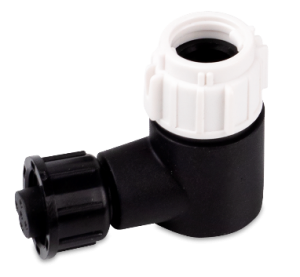 Each of the adapters is currently available with a list price of $20 each. They aren’t on Raymarine’s website yet but I’m told they will be very soon. The configurations available are STng-male to DeviceNet-female (A06082), DeviceNet-male to STng-female (A06083), and DeviceNet-male to STng-female 90 degrees (A06084). 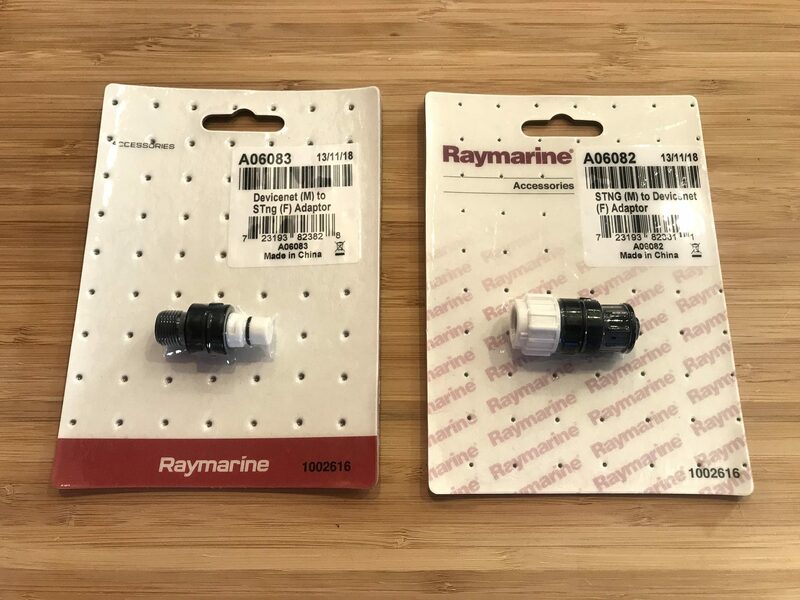 I’m hoping Raymarine will also develop an adapter for SeaTalk NG backbone cabling to further ease the transition of the backbone from SeaTalk NG to DeviceNet, and I’m told it’s being worked on. 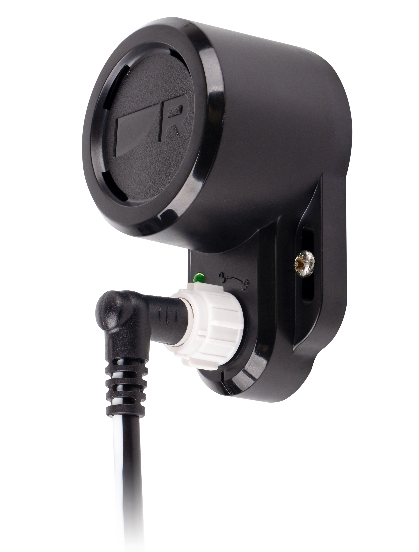 Raymarine has also announced the SeaTalk NG Auxiliary Alarm Buzzer that repeats alarms from compatible devices. The 100db buzzer solves a problem I’ve experienced of missing an alarm sounding off from the upper helm while I’m somewhere below deck. It is available now with a list price of $150. Still no adapters to go from ST-NG backbone(blue) to DeviceNet. I had to fabricate one using a 1M blue backbone cable and Maretronics field N2K ends. Am I the only one who wanted something like this??? Leslie, you’re not the only one who wants the backbone adapter. I asked Raymarine about this and they say it is being worked on. Good news ! those are the ones that are missing. I hear you Hartley, I hear you. I have a box full of half STNG cables to prove it. I too had a mixed network on my (recently sold) trawler, and I made my own crossover cable. I also power-isolated the two networks. So…with these new options…without puzzling through each of the adapter configurations, if you wanted to have ONE backbone, would it be ST-NG or DeviceNet? Guessing it would be which one had the most native connections. I currently have an ST-NG system (except for the above-mentioned M506) on our Tayana 48 sailboat, which I installed in 2013/14. ST-NG was easy to use, the smaller ends are MUCH easier to thread thru congested/tight spaces and appear to be secure, both mechanically and for water intrusion. 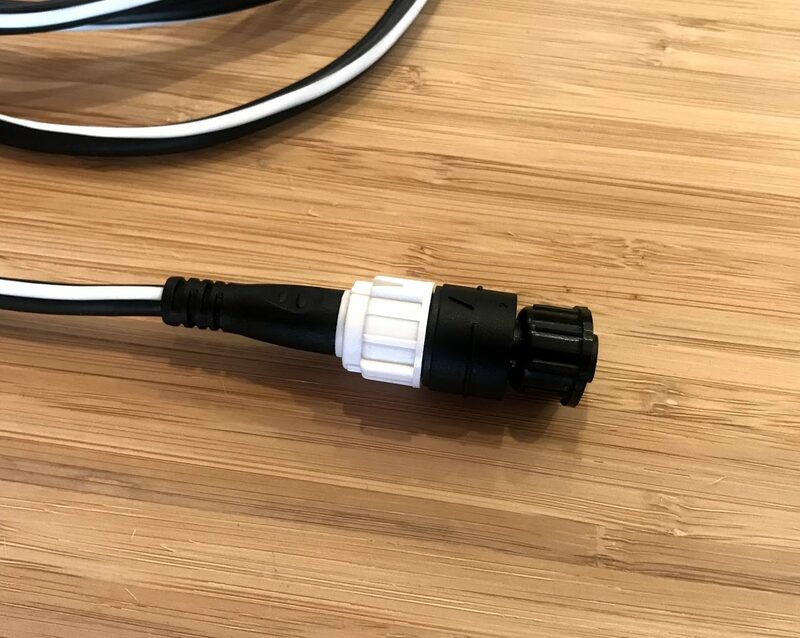 That said, I would examine the choice very closely next time around (if it ever happens :)) – you can’t buy loose connectors for ST-NG, so custom-length cabling isn’t possible, and it appears that Ray is going away from the system, at least for MFDs. These new adapters will make having a mixed system easier, of course. Yes, the Maretron field-installable connectors are handy indeed. That said, I would prefer not to have to solder – tinkertoy is fine for me.